On 13 March Tony Ray-Jones, one of Britain’s finest photographers, died suddenly from leukaemia. At only 31 his talent had been recognised not only in this country but also in Europe and, particularly, in America. Tony was a photographer apart from photographers — in many ways an outlaw in his own medium. As a result of his determination to present situations as honestly as he had seen them he had many fights with picture editors and art directors — a photographer insisting on editing and helping in the layout of his own pictures is unthinkable! But the very people who pronounced sentence on him, blacklisted him, and even attempted to sue him for his integrity, will be the first to say ‘what a nice guy he was’ and ‘what a great loss his passing is to photography’. 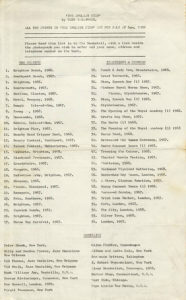 The exhibition listing for the ICA show. Courtesy Brian Human. 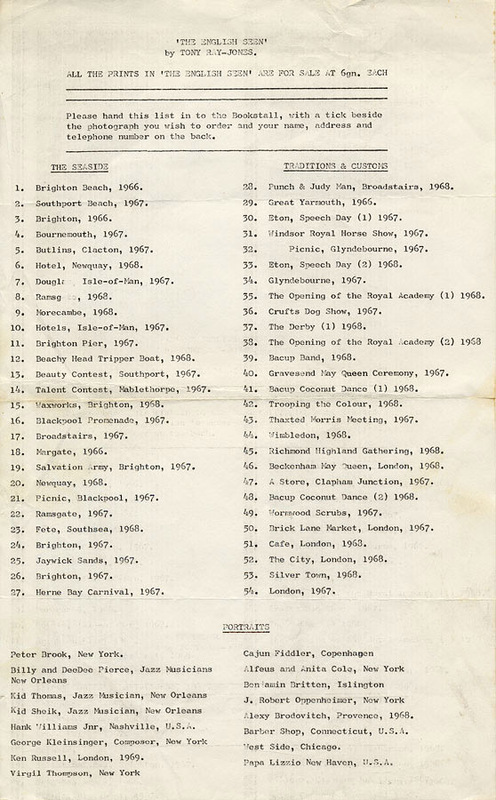 The above list is a scan of the original typewritten handout produced for the Tony Ray-Jones exhibit at the ICA (Institute of Contemporary Arts) in London in 1969 (click to enlarge). Part of a show entitled ‘Four Photographers in Contrast’, this was the first major showing of Ray-Jones’ work and also the exhibition which helped launch the revival of interest in contemporary photography in the UK. Fellow exhibitors at this combined show (the first time photography had been shown at the ICA) were Don McCullin, Dorothy Bohm and Enzo Ragazzini. After completing a two-year graduate course in design at Yale University, he went on to work as an Art Director for Columbia Records before being introduced to Alexey Brodovitch. Under Brodovitch’s influence Tony began to discover the power of photography while studying at the Design Laboratory, a workshop started by Brodovitch which for many years has been a power-house of creative energy and the birthplace of many of America’s greatest photographers. Tony’s involvement with Alexey Brodovitch had the intensity of a love affair and with ‘A.B.’s’ help and encouragement in 1966 he began work as a freelance. Soon after, he returned to England and began working on a major project that dominated the following three years.Excited and amazed by what he found here after five years in America, Tony set about documenting the English at Leisure. He would travel up and down England in an old Volkswagen van for up to three weeks at a time, working with a single-minded dedication, recording what a generation of photographers had ignored. Early in 1971, with his wife Anna, Tony returned to America where he became visiting lecturer at the San Francisco Art Institute. There was a gulf between him and the students, but although depressed by his experience with a comparatively non-responding audience, he continued to work, producing pictures for a new project on jazz musicians, and making more commercial stories for American magazines, and sending back material to the Sunday Times. Learning that he was ill, Tony returned to England; three days later he died. But dry facts such as these can do little to communicate the character of this photographer. Tony was passionate about photography in the same way that he was passionate about life. Perhaps, in one sense, his pass/on was his downfall—he made as many enemies as friends in pushing hard for the things he believed in. Tony recognised the gaps that exist in British photography and wasn’t afraid of pointing out these weaknesses. 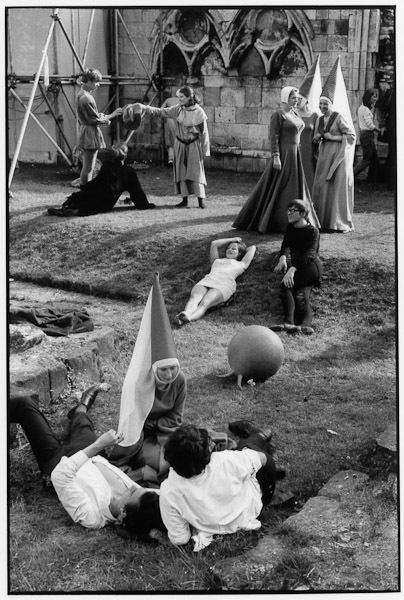 The best way to know more of Tony Ray-Jones is to look at his pictures: complex human situations resolved in a gentle humorous way, sometimes sad and always subtle, he would reveal the quiet madness that exists in all of us. He gave away a little of himself every time he presented us with a print, sometimes consciously, sometimes not. At a time when there is so much pessimism in photography he was steadfastly optimistic. Plans are well underway to produce a book of Tony’s work, and when it comes out later this year no serious photographer should be without it. 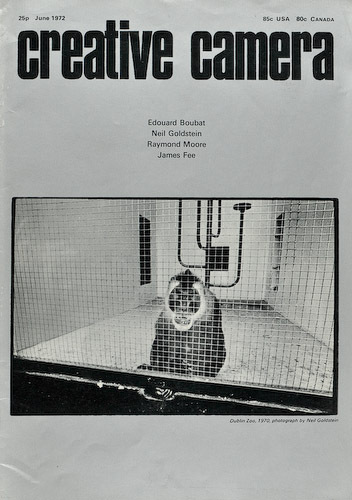 As a final note we would like to leave you with this comment, made by Tony when Creative Camera first published his pictures in October 1968. Tony Ray-Jones was a prophet of hope in a medium of despair. These prints are available in a variety of sizes from scans of the original negatives. Considering that ‘original’ Ray-Jones prints were often of dubious quality and yet command thousands of pounds at auction, these modern pigment ink-jet versions represent good value for money and are a wonderful way to own a Ray-Jones ‘original’.